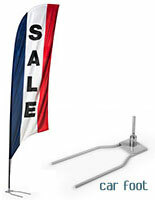 Is your business looking to save money on business flags, banners & accessories? Whether you're looking get started with fabric marketing displays or to add to an existing outdoor or trade show promotional campaign, our selection of discounted stock and custom fixtures is a great place to start! 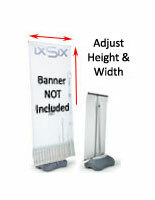 AdvertisingBannerFlags.com offers one of the largest selection of stock message and custom graphics displays in North America. 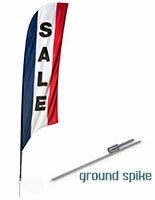 We are constantly sourcing to add new flag styles, designs, and even processes to our inventory. Offering promotional business banners and accessories on sale at discount prices helps us make room for new merchandise and keep current! 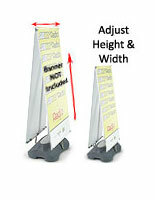 Shopping discount business flag banners & accessories can be the easiest way to get rock bottom pricing on promotional fabric displays. 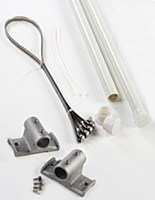 It's important to keep in mind that our large inventory and always-in-stock sourcing programs mean that we can offer low, wholesaler pricing on every single order. 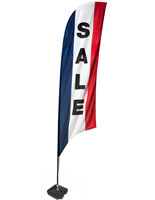 When you shop online at our site, every item is discounted — many business flag banners and accessories can be ordered in single quantities (ideal for special event use or targeted marketing campaigns) and still take advantage of our low price points. 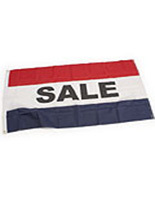 Multiple flags and larger bulk ordering, however, means that the already low pricing gets even better! And that applies to every advertising flag and banner on the site, not just those on special, overstock, and closeout sale here!